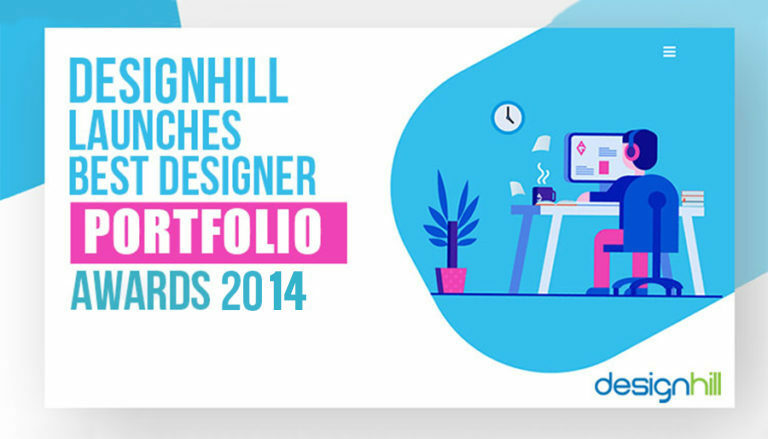 Designhill, one of the largest online design marketplaces helping business owners an easy access to hundreds of graphic designers, has launched “Designhill Best Designer Portfolio Awards 2014”. The last date for the design entries to participate in the contest has been extended from October 31, 2014 to November 15, 2014 due to the designers repeatedly demanding more time to submit their works.The contest gives an opportunity to the graphic designers, both professionals and amateurs, to showcase their best works at one place. A panel of experts with Designhill will adjudge the best portfolios in three categories. The first prize of $1000 will go to the designer whose portfolio will be determined as the best overall designer portfolio. The second prize of $500 will be awarded to the most viewed designer portfolio. The third prize of $500 is the most liked designer portfolio. So, put your best graphic design portfolio in Designhill’s Gallery. Your impressive design projects assembled as your portfolio thus can help you win great prizes and earn recognition. To win the “Most Viewed” and “Most Liked” designer portfolio awards, you can make additional efforts by promoting your portfolio amongst your friends and fellow designers. As more and more people visit your portfolio, you have a better chance of winning the prize in the “Most Viewed” and “Most Liked” categories. You can register for free and create your portfolio and participate. However, you must upload at least 25 creative designs in your portfolio to be eligible for the awards. Make sure that the designs are unique, which means that they have not been created by anyone else before. The portfolio should contain only those designs that are your original work and have no issues with copyrights or third party rights. Your graphic design portfolio is also an opportunity to impress the clients from across the world. The portfolio will help you in winning more projects as you showcase your talent, expertise and wide-ranging technical capabilities. Now, here are some of the characteristics of an effective graphic design portfolio for your consideration. Impressive visual design – To win the contest, it is advisable to include only excellent visual designs in your portfolio. Graphic designs such as logos, brochures, business card talk to the targeted audience in a visual language for conveying a business message to the client. Be creative – Your portfolio should showcase your creativity and you must include those works that stand out because of your unique concepts and designing techniques. Use of relevant elements – A good design incorporates the colors, fonts etc that relate to the industry of the client. So, for example, if the design is for a social networking site, blue is usually the color and if the client runs a women’s clothing store, the color for its logo is most probably be pink, though it is not a binding on any creative designer. But the use of the elements must make a sense. So, sign up with Designhill and start creating your portfolio. Go also through our terms and conditions before you submit your portfolio.